This volume was published by the Ray Society in 1988. It covers 307 species, with 98 herbarium plates, and UK distribution maps for each species. Pisces Conservation have worked on the book with the kind permission of the Ray Society. 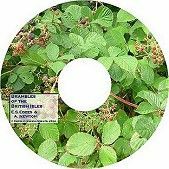 We are delighted to release "Brambles" on CD, for Windows PCs and Macs, with fully searchable text and hyperlinks for ease of navigation.